Arby's offers their first beverage mashup with the new, limited time Liger Shake. 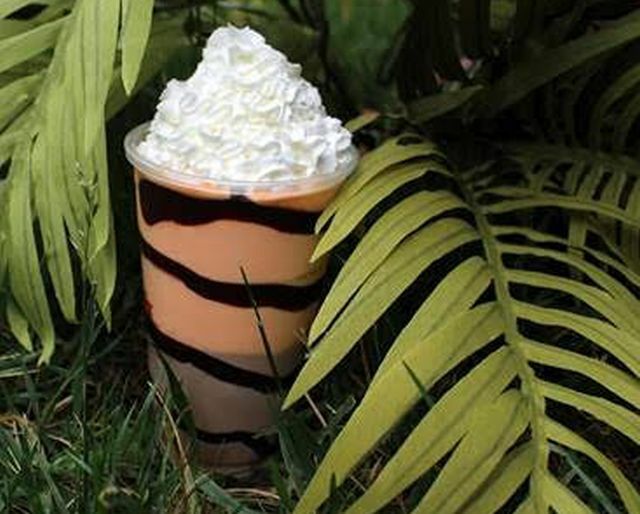 Named after the hybrid offspring of a male lion and female tiger, the new shake is a cross between Arby's Ultimate Chocolate Shake and the Orange Cream Shake joined by stripes of Ghirardelli chocolate sauce. The blend of colors is meant to be "liger-like." You can find the Liger Shake at Arby's restaurants nationwide throughout the month of June.